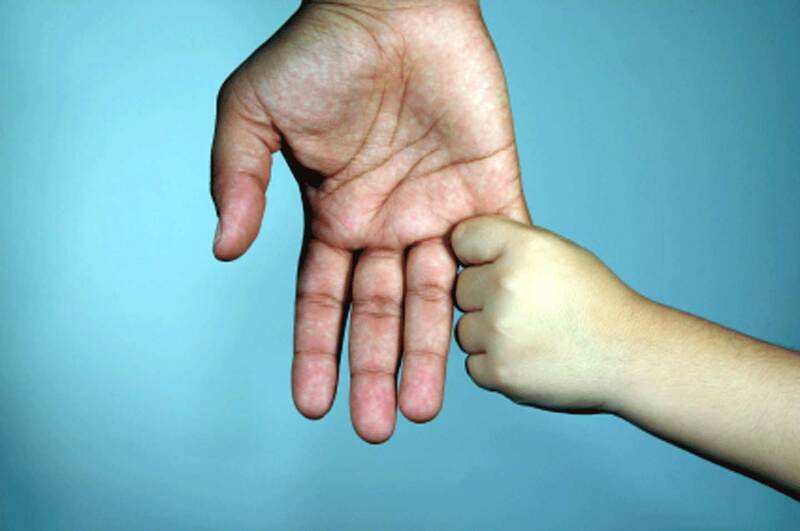 We represent people throughout the Orlando and Central Florida area in paternity cases. If you are involved in a paternity case, call us today to speak with a experienced Orlando paternity attorney. At the Wilson Law Firm, we work to protect your interests and to assist you in resolving your situation in an effective and efficient manner. A paternity action is the process parties use to establish legal obligations and rights involving children born out of wedlock. In Florida, any woman who is pregnant or has a child, or any man who has reason to believe that he is the father of a child, or any child may bring proceedings to determine the paternity of the child when paternity has not been legally established. It is important to remember that every paternity case is unique and in many cases, people who fail to seek legal advice from an experienced Orlando paternity attorney later discover that they have made critical mistakes due to a misunderstanding of the law and how it relates to their unique situation. If you are contemplating or already involved in a paternity action, you should speak with a experienced Orlando paternity attorney to learn about your legal rights and options, as well as the steps you can take to protect your and your child’s interests. The action begins with one party filing a Petition to determine Paternity in the appropriate county. The other party upon being served has 20 days to file an Answer, and if necessary a Counter-Petition. For more information speak with a Orlando paternity attorney today. If the responding party is in agreement, scientific testing may not be necessary, however, if the parties do not agree a paternity test may be necessary. In any proceeding to establish paternity, the Court may, upon request of a party providing a sworn statement or written declaration alleging paternity and setting forth facts establishing a reasonable possibility of the requisite sexual contact between the parties or providing a sworn statement or written declaration denying paternity and setting forth facts establishing a reasonable possibility of the nonexistence of sexual contact between the parties, require the child, mother, and alleged father to submit to scientific tests that are generally acceptable within the scientific community to show a probability of paternity. There are many facilities that offer paternity tests within the Central Florida area, and in any proceeding to establish paternity, the Court on its own motion may require the child, mother, and alleged father to submit to scientific tests that are generally acceptable within the scientific community to show a probability of paternity. Test results are admissible in evidence, and a statistical probability of paternity of 95 percent or more creates a rebuttable presumption that the alleged father is the biological father of the child. If a party fails to rebut the presumption of paternity which arose from the statistical probability of paternity of 95 percent or more, the Court may enter a summary judgment of paternity. If the test results show the alleged father cannot be the biological father, the case shall be dismissed with prejudice. For more information speak with a Orlando paternity attorney today. The Court will determine all matters relating to parenting including the time-sharing schedule for each minor child of the parties in accordance with the best interests of the child as defined in Florida Statute 61.13. It is also the public policy of this state to assure that each minor child has frequent and continuing contact with both parents after the parents separate or the marriage of the parties is dissolved and to encourage the parents to share the rights and responsibilities, and joys, of childrearing. There is no presumption for or against the father or mother of the child when creating or modifying the parenting plan of the child(ren). If paternity is established, the Court will decide the parenting arrangements such as parental responsibility, school zone district, and access to records related to the child. The standard for making these determination is based on the child’s best interests as defined in Florida Statute 61.13. In some cases, the Court may request a parenting evaluation or appoint a guardian ad litem or other professional to assist in the making it’s determination. If the mother of any child born out of wedlock and the reputed father enter into a marriage with one another after the child’s birth, the child shall in all respects be deemed and held to be the child of the husband and wife, as though born within wedlock. For more information speak with a Orlando paternity attorney today. In paternity cases, If appropriate, the Court will order the father to pay the complainant, their guardian, or any other person assuming responsibility for the child moneys sufficient to pay reasonable attorney’s fees, hospital or medical expenses, cost of confinement, and any other expenses incident to the birth of the child and to pay all costs of the proceeding. The Court may from time to time, after considering the financial resources of both parties, order a party to pay a reasonable amount for attorney’s fees, suit money, and the cost to the other party of maintaining or defending any proceeding in a paternity action, including enforcement and modification proceedings. For more information speak with a Orlando paternity attorney today. Upon the adoption of a child by some person other than the father, the liability of the father for the support of the child shall be terminated. For more information speak with a Orlando paternity attorney today. Any person who knowingly and willfully provides false information to the sheriff’s office, other law enforcement agency, or governmental agency, or under oath regarding the paternity of a child in conjunction with an application for, or the receipt of, public assistance for a dependent child commits a misdemeanor of the second degree. For more information speak with a Orlando paternity attorney today. Penalty – Except for the purpose of serving process by publication, it shall be unlawful for the owner, publisher, manager, or operator of any newspaper, magazine, radio station, or other publication of any kind whatsoever, or any other person responsible therefor, or any radio broadcaster, to publish the name of any of the parties to any court proceeding to determine paternity. A person who violates this commits a misdemeanor of the first degree. For more information speak with a Orlando paternity attorney today. Attorney Joel Wilson has handled thousands of cases during his legal career. He understands both the legal and emotional issues involved in paternity cases and is an experienced trial attorney. Most paternity cases can be resolved without a trial, however, when a case cannot be resolved except by trial, you will want an experienced trial attorney to present your side of the case in a persuasive and effective manner. In many cases, people who fail to seek legal representation later discover that they have made critical mistakes, due to a misunderstanding of the law and how it relates to their unique situation, which have devastating consequences in regards to their children or financial situation. At the Wilson Law Firm, we work to protect your interests and to assist you in resolving your situation in an effective and efficient manner. 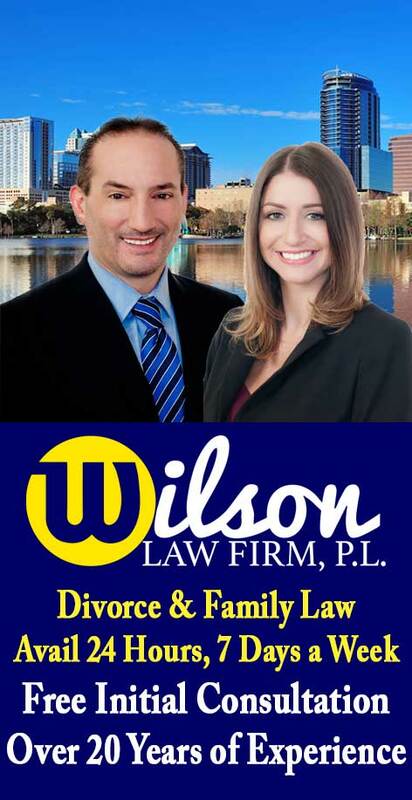 The Wilson Law Firm provides a free initial consultation where you will speak with an Orlando paternity attorney and Orange County Florida family law lawyer to discuss your case. Call us today to speak with an experienced Orlando paternity attorney about the legal process, your rights, and the cost for our services should you decide to retain the firm.